The current issue of Michigan History, in which my article appears. I’m very pleased to announce that I’ve had an article about Carroll Watson Rankin published in the latest issue of Michigan History magazine. I feel very honored to be published in the state magazine and even more that the magazine’s editor approached me and asked me to write the article. I also thank the Marquette Regional History Center staff for supplying the images for the article. Carroll Watson Rankin was born and raised in Marquette. She adopted the male version of her name for her pen name and wrote several stories she published in magazines. Then in 1904, she penned her classic children’s book Dandelion Cottage based on the antics of her daughters and a small cottage behind the Rankin home in Marquette. The book has been loved by generations of children and its success inspired Rankin to write many more books. The cottage is still in Marquette and has a fascinating history of its own, as detailed in my article. 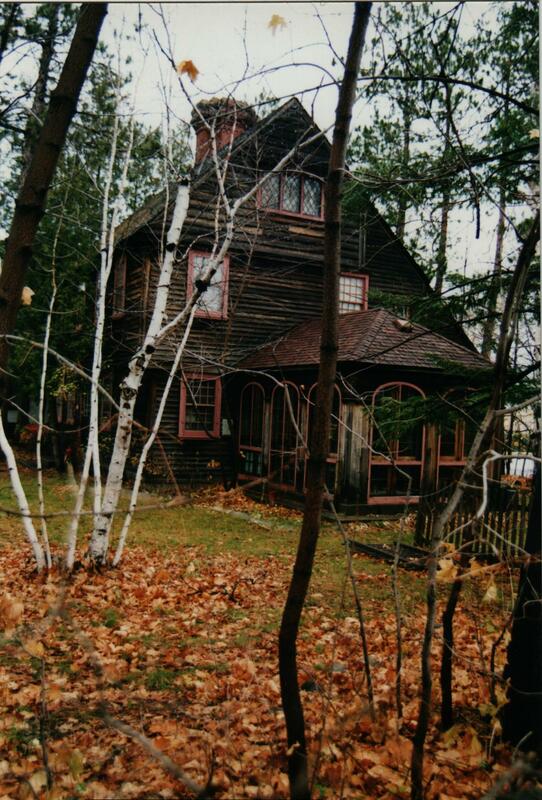 Dandelion Cottage in Marquette – the inspiration for Carroll Watson Rankin’s children’s classic. Marquette, MI, June 19, 2015—When Will S. Adams was diagnosed with ossification, a mysterious disease that caused his tissues to harden until he became nearly a living statue, he refused to quit living life fully and was immensely productive. Now the original play Willpower, which translated his life story to the stage, is available as a book and a DVD. 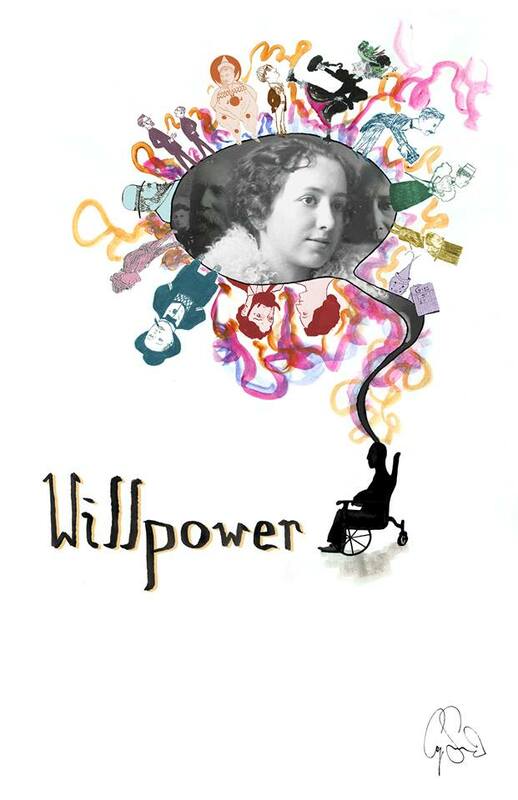 The new book version of the play Willpower includes the full text of the play, sheet music, historical photos, and essays by the playwright and director. In September 2014, Marquette’s Kaufman Auditorium was packed with people who came out to see the story of Will S. Adams translated to the stage, much as the Marquette Opera House was packed in 1906 with people who came to see his original operetta Miss D.Q. Pons. Born in 1878, Will was the adopted son of Marquette businessman Sidney Adams and his wife Harriet. He grew up in the sandstone mansion at 200 E. Ridge St., played baseball, and sang in the boys choir at St. Paul’s Episcopal Church. Then a strange disease began to stiffen Will’s legs and work its way up his body until he lost the use of his limbs, became bedridden, and eventually lost his eyesight before his early death at age thirty-one. Through it all, Will never lost his sense of humor, his energy, or his determination to make the most of every minute. In his short life, he ran his own newspaper, wrote poetry, drew cartoons, and composed the operetta Miss D.Q. Pons with Norma Ross, a local music teacher and his close friend, who also starred in the production. 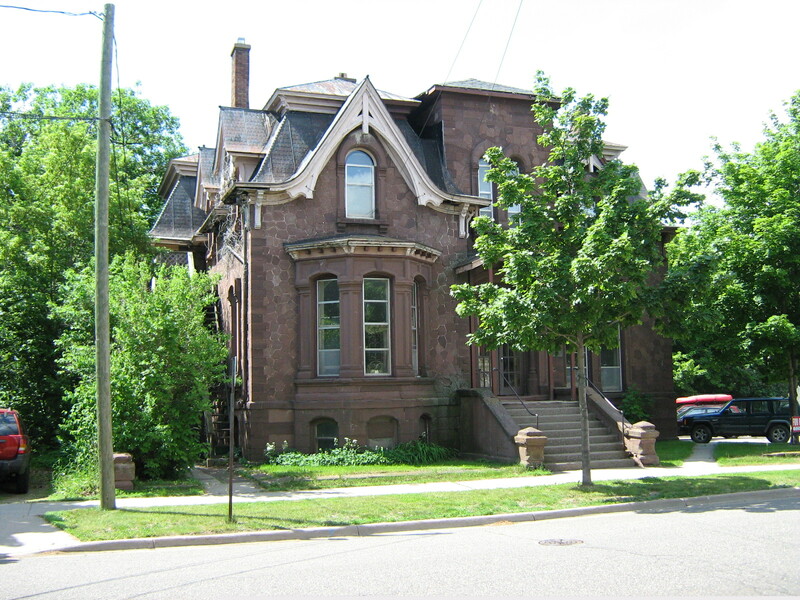 Will’s spirit of perseverance would attract countless admirers, including a Detroit Free Press reporter and the famous actress Lillian Russell. “Many people have expressed a desire to see the play again,” said Tichelaar, “and while I hope it will someday return to the stage, I wanted to release a book version to tell more of the history behind the play and allow Will’s story to continue to inspire us.” The newly released book includes the entire script of the play, photos from the original production, sheet music of songs from the performance, numerous historical photographs, extensive commentary on the history behind the play, and an essay by director Moire Embley. The book version of Willpower is now available in local bookstores and gift shops and online through Tichelaar’s website at www.MarquetteFiction.com. A DVD of the original performance is also available at the Marquette Regional History Center’s gift shop. Tyler R. Tichelaar, Ph.D., is a seventh generation Marquette resident devoted to capturing the past through his books. He is the author of the popular history book My Marquette and nine novels, including The Marquette Trilogy and The Children of Arthur series. In writing Willpower, Tichelaar grew to feel a special kinship with Will Adams, who shared his passion for literature, and with Norma Ross, who was friends with his great-grandmother. When Kaye Hiebel and Jessica Red Bays asked me to write a play as a fundraiser for the Marquette Regional History Center, I was hesitant, considering myself a novelist, not a playwright. But when they shared with me their vision of bringing Will Adams’ story to the stage, I instantly saw its dramatic possibilities and how it would speak to modern audiences as a true tale of overcoming adversity. 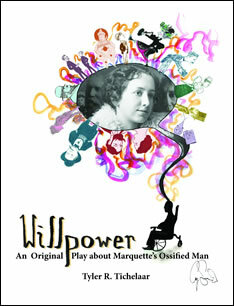 Poster for Willpower, an original play by Tyler Tichelaar. Poster art by Cory Sustarich. I already knew the basics of Will Adams’ story. He was born in 1878 and adopted as a young child by prominent Marquette businessman Sidney Adams and his wife Harriet. Will was a talented singer in the boys choir at St. Paul’s Episcopal Church, played baseball, and by the time he was a teenager, was considered a literary expert by Marquette residents. But in his late boyhood, Will developed a life-changing disability. The tissues in his legs began to harden until they became immoveable—a disease the Victorians termed ossification. Numerous doctors were consulted, but none could explain the disease’s cause. For most active boys, the diagnosis would have been earth-shattering. But Will took it as a challenge to accomplish all he could before the ossification took over his entire body. For as long as possible, he employed his hands, drawing countless cartoons of notable locals such as Nathan Kaufman and Peter White. He wrote poetry and essays and began the magazine CHIPS, illustrating it himself. Unable to sell magazine ads in person, he did it over the telephone, eventually having an attendant hold the receiver for him. One of Will’s frequent visitors was his good friend Norma Ross, a music teacher in the Marquette Public Schools. In 1905, Will and Norma wrote an operetta titled Miss D.Q. Pons. Will composed the music in his head and hummed the tunes for Norma, who wrote down the notes. Later, Norma starred in the production, which toured the Upper Peninsula. Will attended the performances, traveling by railroad in a portable bed. And then there was Norma Ross. With the help of MRHC research librarians Rosemary Michelin and Beth Gruber, I learned Norma’s father had owned one of the first theatres in Marquette, Mather Hall, so at an early age, Norma was exposed to music and the theatre, and she developed her musical gift by singing in the First Baptist Church’s choir. Frank B. Spear, Sr. of Marquette offered to finance sending her to New York to be in the theatre there, but her father opposed his daughter having a “life upon the wicked stage.” Instead, she went to Northwestern University to become a music teacher. She returned to Marquette to teach in the public schools and also be very active in community theatre and music productions for decades. In Willpower, I wanted to bring Will and Norma and their family members and friends to life. Artistic license was taken to fill in some gaps in their stories, but I tried my best to represent them truthfully. I worked in as many of Will’s actual words and expressions into the play as possible. Music was so important to Will and Norma that I knew it had to be an integral part of the production. While no copy of Miss D.Q. Pons could be found, the playbill, advertisements, and reviews all helped me to recreate a scene from the operetta to give the audience a taste of what it might have been like. Beyond entertaining audiences, I wanted the play to offer an educational step back in time. For that reason, period music was used. An article written by Norma’s sister Grace recalled musical events at their father’s theatre, including performances of the well-known 1890s hit song, “After the Ball,” so I incorporated it into the play. Another period song, “Turn Off Your Light, Mr. Moon Man,” filled in for a similarly themed but lost song in Miss D.Q. Pons. An original song, “You Will Not Love Me,” was composed for the play by Jeff Bruning. My own tongue-in-cheek lyrics for the song are hopefully in keeping with Will’s sense of humor. Director Moiré Embley’s vision for the play also focuses on the time travel historic experience for audiences with historical costumes and furniture, and I believe audiences will be impressed with the historic-themed sets. Writing a play is one thing. Bringing it to the stage is another. Various drafts of Willpower were shared with Embley, Marquette Regional History Center staff, and a few close friends, all of whom offered feedback and suggestions. In the process, I learned not only to consider plot and character development, but how to work in set and costume changes between scenes, and what was possible within our budget limitations. Fortunately, our budget, initially provided by the Marquette Regional History Center, was enhanced through a generous grant from the Michigan Humanities Council and matching grants from the Marquette Community Foundation and Upper Peninsula Health Plan. 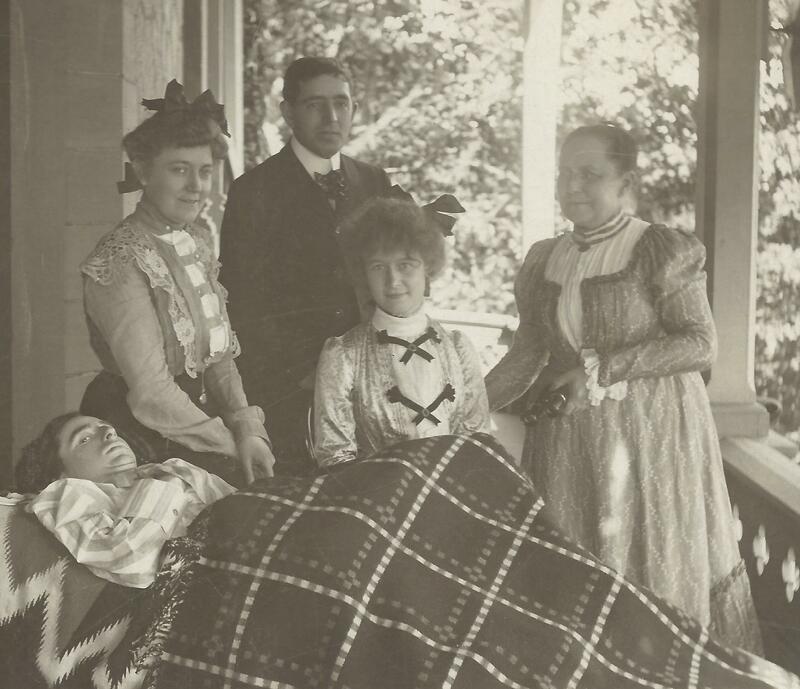 Will Adams with his parents, sister Bertha, and close friend Norma Ross (seated), with whom he wrote an operetta. Writing Willpower has been a wonderful experience for me, and I hope audiences will find it nostalgic, entertaining, and inspiring. Please join me at Kaufman Auditorium on September 18 and 19 at 7:00 p.m. for a trip back to Old Marquette at the turn of the last century. The superb cast is led by Andy Vanwelsenaers, playing the adult Will Adams, and Jessica Red Bays, playing the mature Norma Ross. Even Fred Rydholm will make a cameo appearance. Tickets are $15 and on sale through www.nmu.edu/tickets. For more information, visit http://www.marquettefiction.com/Willpower.html and www.marquettehistory.org. 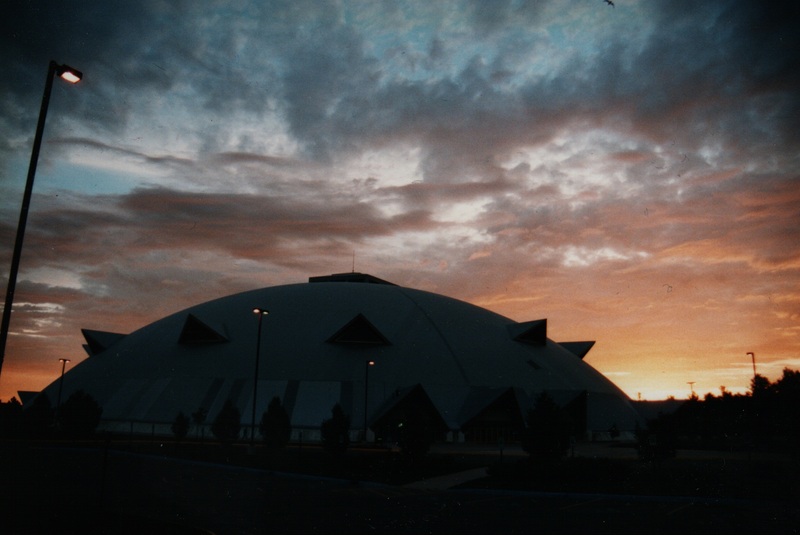 Meet at the Superior Dome for the North Marquette walking tour on July 12th at 6:30 p.m. These bus tours offer an innovative way of bringing Marquette’s history to people in a personal way. A bus tour is an entertaining, narrated journey filled with interest, history and beauty. Meet historic re-enactors and tour the lower and upper harbors, notable landmarks, Presque Isle and the city’s most distinct neighborhoods. Several well-known local people will be reenacting the roles of key personages from Marquette’s past, including Blaine Betts as J.M. Longyear, Vivian Lasich as Olive Harlow, Chet DeFonso as Captain Ripley, and Iris Katers and Fran Darling as friends of Mrs. Kaufman. Discover why Marquette is called the Queen City of the North as you ride in comfortable, climate controlled style on a Checker Bus. All tours depart in front of the History Center. Allow 90 minutes for the tour. Tickets are $12 and are on sale now online at www.marquettehistory.org or at the museum store. Call 226-3571 for more information. North Marquette Walking Tour: Back to the Swamp! Explore one of Marquette’s most interesting and historic areas with Jim Koski. Includes the history of the Furnace Location, North Marquette School, Palestra and Cliffs Dow. $5 donation. I’ve been on several of Jim’s walking tours in the past of the downtown and South Marquette, so I know this will be a treat, and I always learn something new on the tours. Hop on your bikes and pedal up and down Marquette’s lakeshore bike path from Shiras Park to South Beach. Start the tour at any of the 6 stops and learn about how Lake Superior shaped the city’s history. $5 donation. Marquette’s history is alive and well, always surrounding and influencing us. Become a part of celebrating it!